Painting kitchen cabinets is very popular across the country and Omaha is no exception to this trend. While there are many websites pushing this as a DIY project, it can be challenging to even the professional to get it right. If painting your kitchen cabinets is something you are considering here are some things to keep in mind. This is a time consuming task and it is very disruptive to your routine. Having your kitchen torn apart for a week or so can be very stressful. Plan ahead. How will meals be prepared and served? Often in addition to the kitchen another area like part of the garage will be used to work on the doors/drawers. That’s another area you may use the use of for several days. Allow yourself the time needed to have the job done right. This isn’t something that fits into a tight schedule. There are many steps that must be taken to do it right. There are solvents, primers and paints and each one has an odor associated with it. While containment areas will be set up for sanding and painting, odors will travel through your home. Some of the products are probably not the type of thing you have smelled before. Know what to expect. In almost all cases the cabinets are wood. So in the end it will look like painted wood. 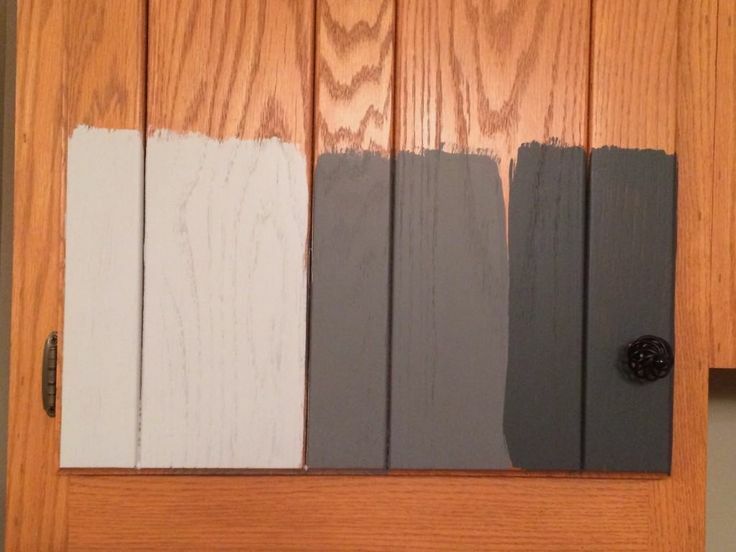 The cabinets will be caulked and puttied as needed and the grain will be filled in after several coats of paint but in the end painting your cabinets will not transform them into a perfectly smooth plastic like finish. All the doors and drawers are going to be removed. In most cases the contents of your cabinets can remain, unless you want the interior of the cabinets painted as well, but they will be masked off so you will not have access to what’s in them. The drawers will in most cases need to be emptied. Pick the right color. If in doubt, we can paint a sample door to display in your kitchen. This isn’t the type of job you want to repeat because of a color your not sure of.